Finucane and Smith’s Glory Box has one of those great titles that sits in front of a rather poorly-conceived production. I might have thought a more accurate description would be ‘Finucane and Smith’s Lucky Dip’, but that probably wouldn’t have drawn the crowds, would it? Michelle Potter may have more insight into this than I! The Canberra Dilettante also posted on this one. 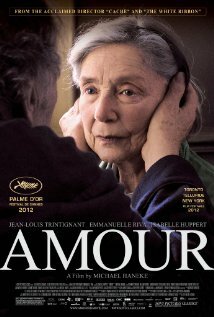 Amour probably won’t rate too highly on many people’s radars. It’s a little slow, the plot is a little controversial, but only if you have some knowledge of it, and it has no real pizazz to draw attention to itself. It doesn’t even draw you in terribly well, but nonetheless, I admire it deeply, and think it deserves more attention than it is likely to get. As a film, it is strongest in what I think is one of the most important aspects of all films; it takes the transcendent, the metaphysical, the magic of life, and plonks it down into the stuff of life, the grit and grime of reality where it rubs up against a higher meaning, a sense of purpose. We meet the protagonists as they attend a recital at a theatre on the Champs Elysée. The elderly couple speak to the pianist afterwards, and they are clearly on familiar terms. From here, they return home to what seems a humble but comfortable existence. The following day, the wife suffers a stroke, which paralyses her on her right side, and their world is slowly changed. In fact, the gradual decline of her condition sometimes lulls the audience into a false sense of security as the couple adapt and change to accommodate alterations. The change, however, doesn’t cease. If ever there was a good reason to make a slow film, this is it. The gradation of the woman’s deteriorating condition is carefully crafted to draw your attention away from the inevitable. The couple simply carry on with life and take control of whatever they can take control of. I really wish more films were like this. There is no reason to divorce the transcendent from the prosaic, and here where they coexist they say something that few other mediums could put so eloquently. If the opportunity arises, see this film. Sometimes a film starts out poorly, but improves out of sight by the end of the exposition. 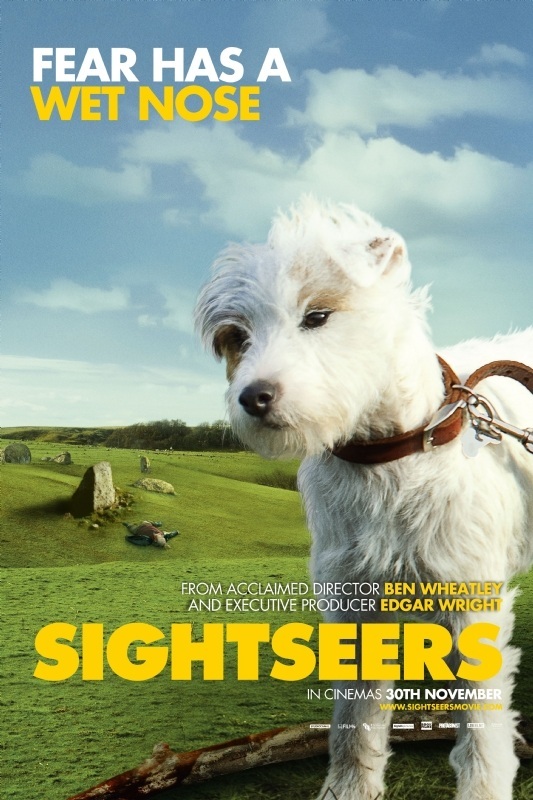 Such a film is Sightseers, which begins with an elderly woman making a miserable groaning sound for several minutes, while her daughter tries to get her attention. None too quickly the horrible old woman is removed from the scenario as her misfit of a daughter and her equally awkward boyfriend pack a caravan and head off. I must admit one thing that drew me to this film was the idea of Brits taking a caravanning holiday. I have always been curious to know the whys and wherefores of using a caravan to explore such a tiny island, and if there’s anyone out there with the same idea, I can tell you I have gained no insight into the phenomenon from watching this film. What I did gain was a fantastically funny and gory 95 minutes. It was a little like a Tarantino film without all the corny one liners that really don’t work. And unlike a Tarantino film, it had characters. Real characters, with feelings and depth and backstories that you could only guess at. In some ways it was a bit like Shakespeare without the superfluous repetition, which of course brings us to the blood faster. No, Sightseers is definitely not for children (not even my children!). It has one of the most hideous scenes of human mutilation I’ve ever seen in a film; and even this one has that wonderful capacity to combine gore and humour in the one image. Don’t bother with Sightseers if you’re a little squeamish, but if you like a bit of blood with your humour, this is the film you’ve been waiting for. Well my first venture out into the 2012 Canberra International Film Festival was a little disappointing. Cesare Deve Morire (Caesar Must Die) was interesting, but I think it fails to stand as a cohesive whole, stumbling rather awkwardly from scene to scene. 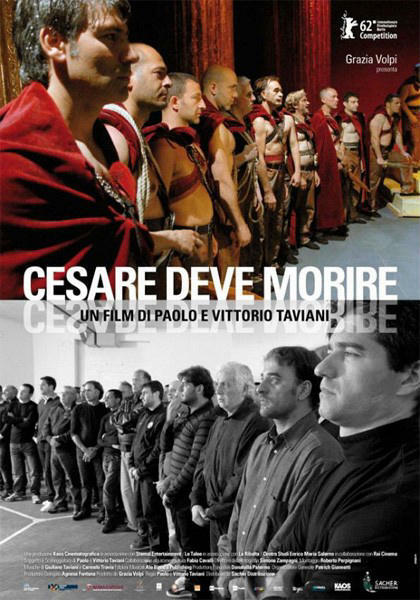 The film follows a group of inmates from Rebibbia prison in Rome staging Shakespeare’s Julius Caesar. The inmates are introduced by their names, date of birth, sentence and crime before the play is cast, and we follow them through auditions, rehearsals and their performance. Though it has its moments, and the performance itself appears compelling, I just didn’t find that connection that good films bring about with their characters. The film is slow, which can be tolerable, but a slow film shouldn’t lack detail. I really didn’t feel I got to know these characters, and when the credits rolled, I just felt it was about time. I’m hoping for a better result from tomorrow’s CIFF films.